Along the southern part of the Golden Circle, Kerið crater lake is a steep-sided volcanic caldera with a deep aquamarine-colored lake at the bottom. The color is quite intense, since the lake is formed from groundwater rising and falling within the crater. Locals will tell you that a rise or fall in the water level in the crater here has a corresponding fall or rise in the lake on Búrfel nearby. 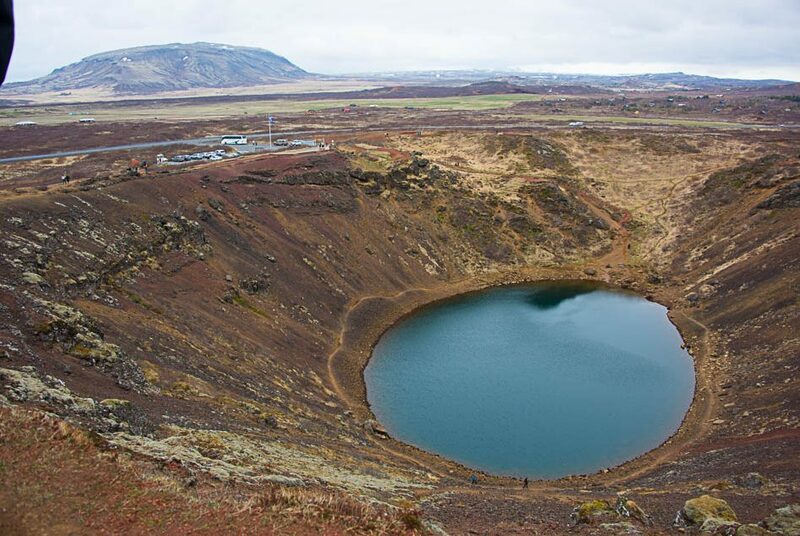 Unlike many of the other volcanic cones in Iceland, the crater is formed of reddish stone,instead of the black rubble and rocks elsewhere. There are a number of craters in the area: Kerið, Seyðishólar and Kerhóll; all are red stone. 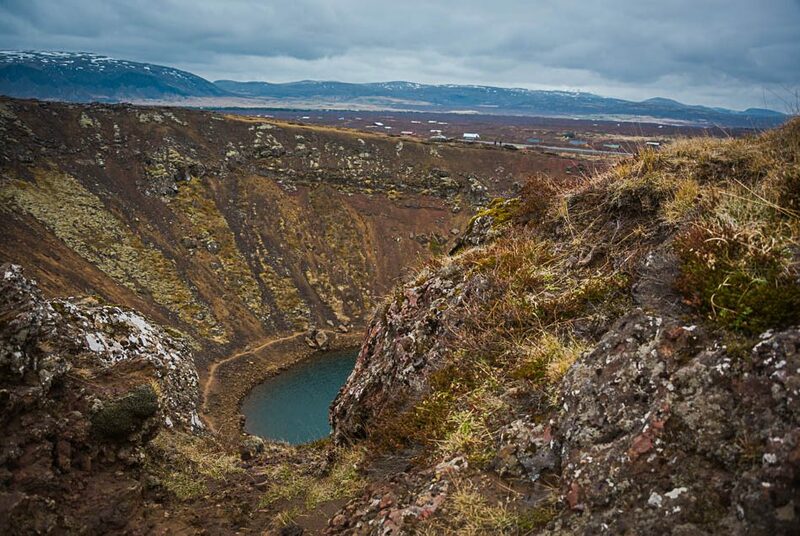 Kerið is approximately 6500 years old (according to the official website, other sources note that it is younger than the surrounding area, at only 3000 years old, hence its rather pristine appearance), and is only one of a line of craters following a hotspot, known as Tjamarhólar. While it appears that the crater is the result of a huge explosion, it may have been a cone volcano that collapsed in on itself instead when the magma chamber emptied, suggesting a much smaller event. The crater is about 55m (180ft) deep and oval shaped (170m (560ft) x 270m (890ft). The walls on three sides are steep, with a walkway around the upper rim of the crater offering great views. The fourth ‘side’ is less steep and can be scrambled down to view the lake from below. The lake is quite shallow, averaging 10m (33ft) or so. There is a fence around the site, and the landowners are currently charging a fee (400isk) to view the crater. This is unusual in Iceland. The paths are well-maintained, though, and we saw evidence that they are building a viewing platform and other improvements at the site. 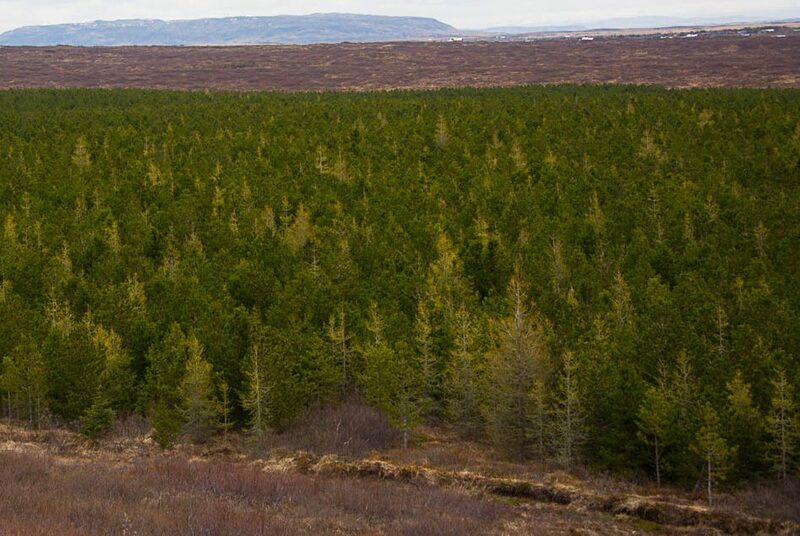 Off Route 35, near Selfoss.